I love the way it cleans my floor. NEED A MOP THAT CAN WORK AND LAST. THIS SEEMS IT WOULD BE IT. Needed a replacement & the price was good. This is just an extra mop head. Have had Clean Spin set for several years. My mop head needs an assistant. heh-heh. Worked so well I ordered 2 replacements. I need a new refill. I want one for walls to be painted. Wore out my other mop heads. Quality is good. because i needed a new mop head. 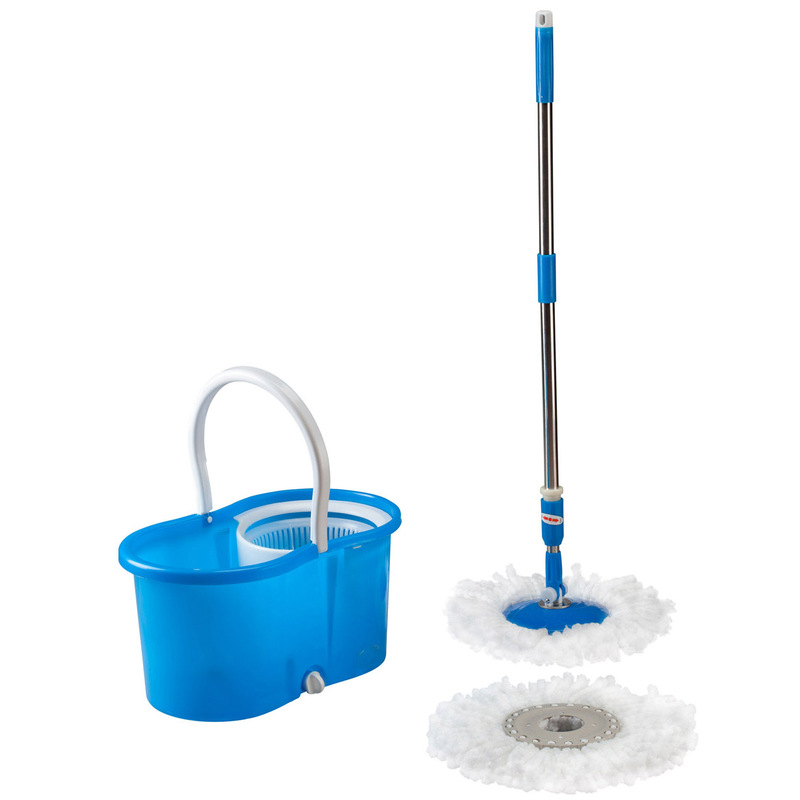 I have the mop and spin bucket. Which is absolutely one of the best buys I've ever made. I needed a new refill. Head are washable and they last. I did not order the replacement mop heads when I got the mop and bucket set. I already have the Mop and love it. Is this the one that has the petal on the bucket to spin it dry? BEST ANSWER: Thank you for your question. This is the replacement mop head for the Clean Spin Mop. We hope this information will be of help to you. Yes it does have a pedal to use to spin it dry, which I think is easier to use than the one a friend has. mine has pedal - not a round mop - my spin mop is sort of diamond shape. Could not use this! how do I replace mop head? BEST ANSWER: Hold the handle straight up. Place one foot on the mop head, tilt handle slightly. Mop head should lift off. To replace mop head, push handle straight down on the mop head, it will snap in place. I just pull on the mop and it pops out and then press the new one down on the plastic ring and it pops on. I would like to say how much I have enjoyed it. If the mop is broken or an extra mop head is needed. One can be ordered through Walter Drake. You can order a replacement mop head. Just key it in. step on plastic part and lean the handle. how many heads for 9.99? Are there 3 in a pkg? BEST ANSWER: Thank you for your question. This has one per package. We hope this information will be of help to you. How big is the mop Head? Is it about 6 1/4 inch diameter? Does it snap on the mop? 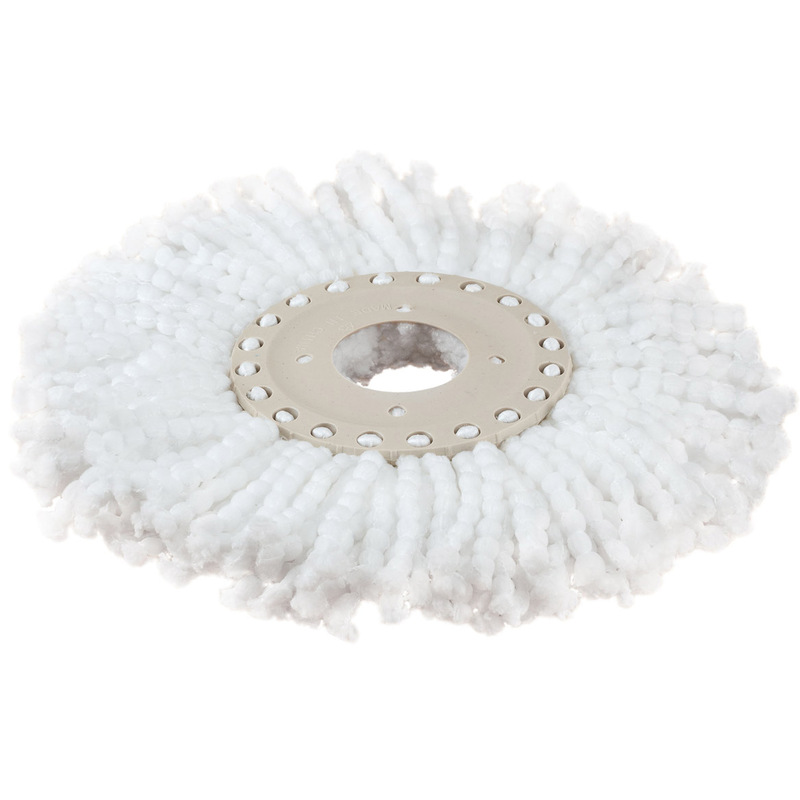 BEST ANSWER: The plastic part that holds the mop head is about 6 1/4" in diameter, and it snaps really easily onto the mop head. 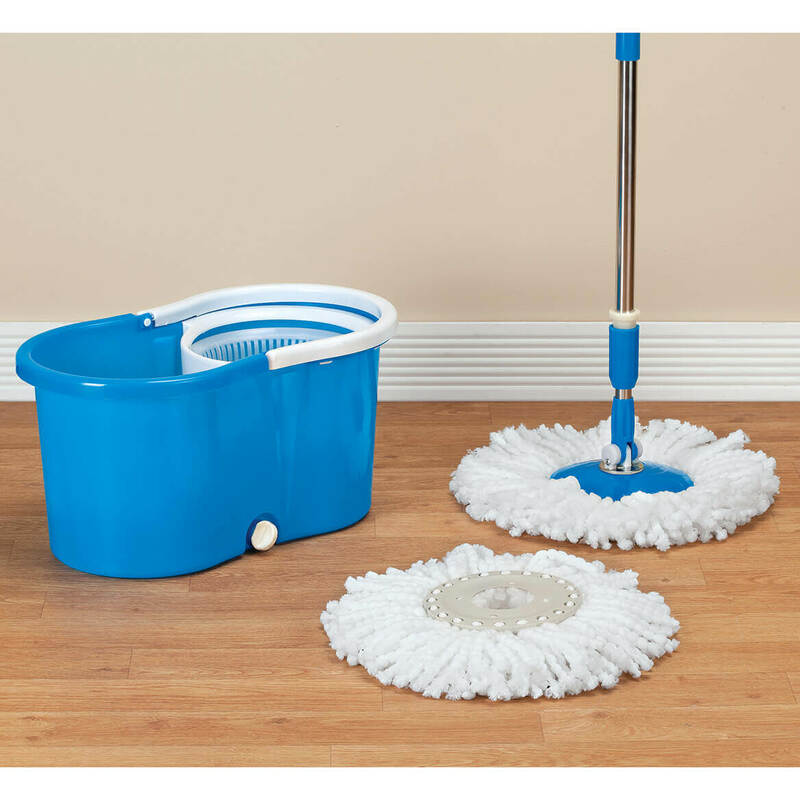 As long as your mop is a Clean Spin 360 mop, it should fit perfectly. I forget the brand I bought originally, and it broke the second time I tried to get the mop off. I have used the 360 replacement mop several times. You can wash them in the washer. I wash it for about 2 mins., skip the rinse cycle, let it spin for a few minutes, fluff it out, and put it back on the handle. This fits on the spin mop only. It is the size just for that mop and yes it snaps on but you need to have the spin mop. BEST ANSWER: Lock your mop handle. I used a flat head screw driver around the outer edge of the mop head to lift it out of the casing of the mop handle. Then I held on to the mop head and pulled it out the rest of the way. It may take a couple of tugs. To put the new mop head on place the mop head on the floor with the back of the mop head facing up. Place the mop handle casing over the mop head casing and use your foot to press it in place. If it is lined up correctly you will hear it snap when it locks into place. Thank you for your question. Please contact our Customer Service department at 1-800-858-4979 for further assistance. We hope this information will be of help to you. cant get the mop head off?